Efficiency is crucial for any business, but especially in tea and coffee shops. These short tasks, repeated hundreds of times throughout the day, mean that even a slight reduction in time, energy, or cost can be greatly amplified. Greater efficiency means increased profits and lower outgoings, vital to any business’ success. Yet these aren’t the only benefits: it also goes hand-in-hand with better customer service and a reduced environmental footprint. So, let’s take a look at how coffee shops, hotels, restaurants, and anywhere else serving tea and coffee can increase their efficiency and reduce their energy usage – without sacrificing quality. Improving efficiency starts with identifying problem areas. Nathan Retzer of Quarter Horse Coffee in the UK tells me that businesses should pay particular attention to staff costs as these are “one of the highest costs for any service business”. Work out when staff are spending unnecessary amounts of time on a task. Nathan advises, “Look for the bottlenecks. These things become really apparent when the shop is at its busiest. If there are a lot of drinks being made but no one can run them out to the customer, what are the other staff members doing instead? Dishes? Serving customers? Food prep? Making filter coffee? Making tea?” Whatever the baristas are doing, management needs to ask if it’s necessary, profitable, and if new equipment or processes could resolve the issue. Fortunately, sometimes a small change can significantly improve operations while maintaining high standards for tea and coffee brewing. Nathan gives the example of filter coffee: “Although the theatre might be something you want to sell, the fact is that it does take a lot of time for a person to make a pour over – about four to six minutes on average.” He uses the Marco SP9, a single-serve filter coffee brewing system. “ Although it doesn’t make a pour over any faster… it does free up staff to fill the rest of the order,” he says. “It makes a more consistent cup of coffee so that increases the quality. 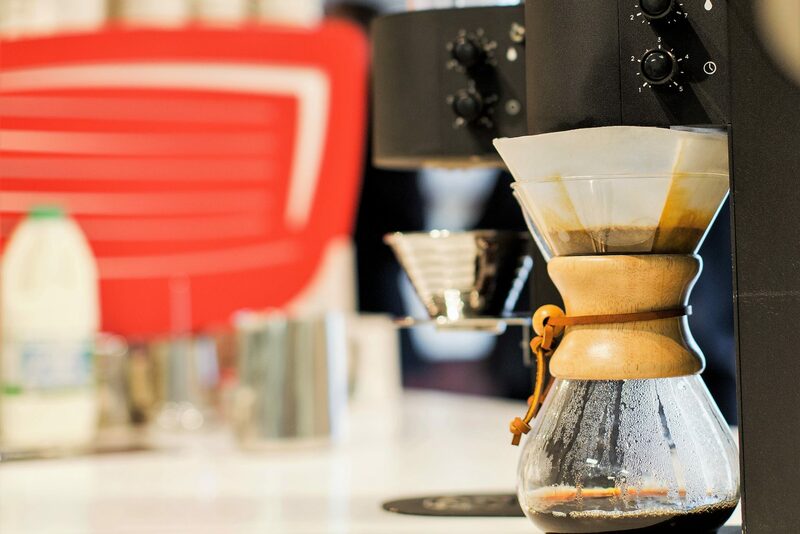 This means that a full order can be ready by the time the filter is finished brewing, again providing a faster service and better quality product.” The idea is to ask what tasks baristas, waiters, and other staff members need to be doing for the purposes of quality and customer service – and which ones can be automated. Café owners, hoteliers, and restaurateurs should be wary, however, of taking every opportunity open to them to save time and money. Sometimes, paying for a more expensive piece of equipment will lead to greater savings later on, especially if it needs fewer repairs, is more user-friendly, or saves energy. On the other hand, if staff efficiency is increased but at the cost of customer service, this can result in lower rates of customer retention – something that will reduce profits in the long term. Nathan stresses the importance of “paying attention to what you are automating”. Tea, he says, is one area where both speed and quality can easily be increased through the use of a dedicated water distribution system. 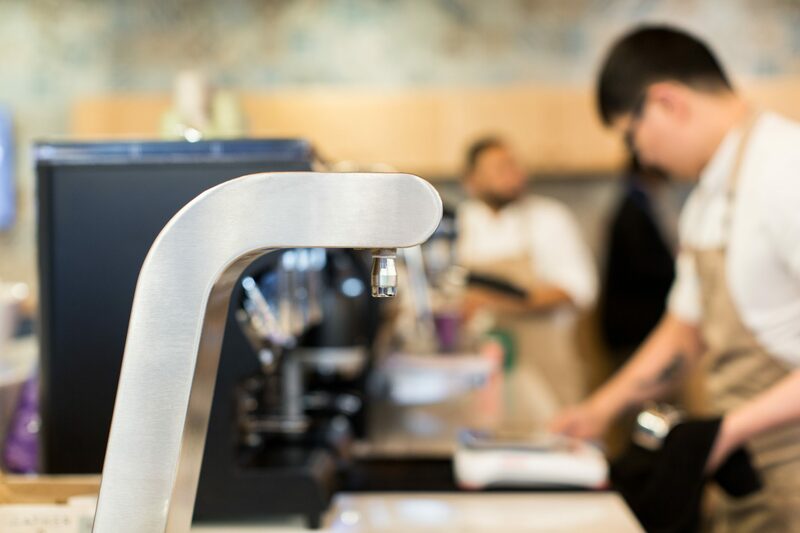 “ Not having to wait for a kettle to boil will increase speed and using the right temperature water, not from the hot water tap on an espresso machine, will increase quality as well.” This also benefits coffee sales, as it means the espresso machine is used solely for espresso drinks, which baristas will then be able to make faster. Karl Purdy of Coffeeangel, Dublin installed the Marco MIX – which is 70% more efficient than regular boilers – for serving tea and, within two weeks, had seen an increase of coffee sales of “at least 30%”. Remember: quicker service can mean better service, providing customers still feel that there’s a human touch. A good system will allow baristas to focus on quality and customers, not on tasks that can be automated. Another thing worth mentioning here is employee motivation. Ensuring that staff remain happy can come with a price tag, whether it takes the form of increased benefits or a greater investment of managers’ time. However, it will also increase profits. Motivated staff tend to be more productive, provide better service, and motivate other staff. Additionally, they are less likely to quit. Retaining trained baristas is much cheaper than hiring and training new ones. Efficiency: no company can afford to overlook it. Yet it’s very different to simply reducing costs. It’s important that hospitality and service businesses understand where they’re really losing efficiency and using too much energy. Only then can they create better systems that will result in greater profits.